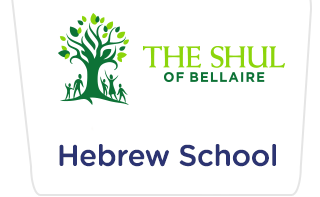 The Bellaire Hebrew School offers a stimulating yet friendly environment where children embrace their Jewish roots and gain a true sense of Jewish pride, no matter their level of observance or affiliation. Children, (K through 8th grade) acquire a broad knowledge of Judaism through a motivating and challenging venue. Our students gain an appreciation for the joys, values and traditions of our heritage as it is vividly brought to life by the dedicated and enthusiastic teachers whose creativity and dynamism make every lesson a unique learning experience. At Bellaire Hebrew School our goal is simple: We want our students to view Judaism in an intelligent, relevant and upbeat light. By year's end, along with the Aleph-Bet, Holiday learning and Hebrew literacy, your child will have developed a deep love and appreciation for their precious heritage, imbuing their every day with a sense of pride and purpose. Register today to ensure a more Jewish tomorrow: call Esty Zaklikofsky at 713-484-9887. Bellaire Hebrew School offers a unique approach in Judaic studies. Our program is designed for elementary school-age children (ages K through 8th grade) who are otherwise not receiving a formal Jewish education. At Bellaire Hebrew School we provide an experience that represents a positive, cheerful and enjoyable chapter of the child’s maturing life.